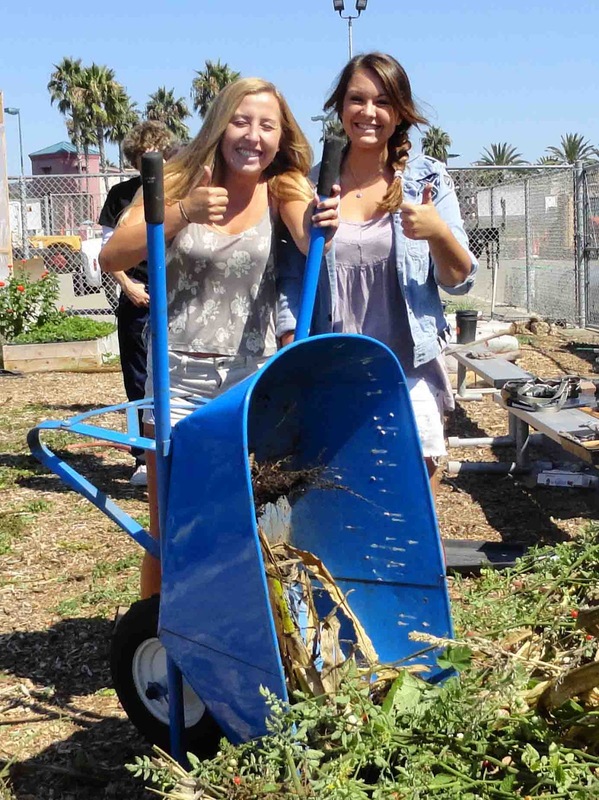 Teens at Huntington Beach High School get it--they know the value of completing the recycling loop--take from the earth, but always remember to put back what you take through organic recycling and composting. The school has a fantastic garden that students are maintaining over the summer under the guidance of garden and agriculture science teacher Greg Goran. 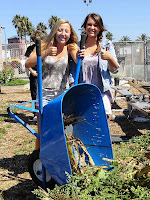 The students are in the process of remodeling and cleaning up the garden space. Agromin was happy to donate 10 cubic yards of walk-on bark to finish off the "walking around" areas. Just think if everyone had the same recycling focus as these kids!